The following is from מו׳ר הגאון הגדול הרב Yosef Dov Halevi Soloveitchik ז׳ל. R’ Yosef Karo in the standard Shulchan Aruch (תרפא:ב) concludes that we light the Chanuka lights before the Havdolo candles. However, when one comes home after Shule, many follow the Taz, that first one performs Havdala and then lights Chanuka licht. הגאון הגדול הרב Rav Moshe Soloveitchik ז׳ל (the Rav’s father, and eldest son of R’ Chaim Brisker) explains that there is a difference between lighting in Shule and lighting at home. Back to Pesach. Even though we are required to say Hallel over a cup of wine (at the Seder) that is our personal requirement. However, the congregation, has a separate requirement to say Hallel as a congregation ציבור. When does a congregation get the “halachic designation” of a congregation? If they davened Mincha together, they are a Tzibbur/Congregation that group “is existentially formed” and now must perform the congregational פרסומי ניסא. For this reason, we light in Shule between Mincha and Maariv, even though many have the custom to light after Maariv at home. The reason being that the congregation assumes it’s requirement to light, as soon as they are designated as a congregation, and that occurs immediately after Mincha, because they have an on following requirement to continue with Ma’ariv. Therefore, in respect of Shule, after Ma’ariv, where they no longer have any congregational duties, there is no more “congregation” and no special requirement to have פרסומי ניסא. Most people might still be there, however, they aren’t halachically a congregation requiring the lighting once they have completed their davening. So let’s turn to Motzai Shabbos where we can only light the candles once Shabbos goes out. It would seem that since they have already davened, they no longer are designated as a congregation and no longer a requirement to light as a congregation. In order to avoid this conundrum, the Minhag has become to light the Havdala, as a congregation, after Chanuka lights, because at that time, they are still a congregation requiring Havdala, and therefore the פרסומי ניסא of a congregation has not dissipated. Note that the definition of a congregation is not whether most are there or not. Rather, it is about whether those who are there, are still considered a congregation because they haven’t completed their full davening. Rav Soloveitchik wondered about gatherings where there was no congregational activity, such as Ma’ariv, e.g. at a fundraiser or the like where most would have already davened Ma’ariv in their own congregations. As such, Rav Soloveitchik questioned whether in such circumstances there was a congregational פרסומי ניסא that was incumbent halachically. One could turn attention to the “Chanuka in the Park” type celebrations. From my observation, it is sometimes dubious that there is a congregational requirement for publicising the miracle. However, if one assumes, quite reasonably, that many of the people will consider this their private and only lighting of Chanuka candles on that evening, it perhaps would be that an entrance fee be charged, nominally, so that they can become part of the pseudo-mega-household that is lighting the Menora (as opposed to a congregational Chiyuv) to do so. Yes, I see many Chabadniks put Tefillin on people, but the minute they have finished with their Tefillin, those people have done a personal Mitvah, but not a congregational activity that is still incomplete. It is somewhat ironic, but exact, that congregation isn’t defined by numbers, but by responsibility. Even a group of 10 is a congregation, and as long as they still have a congregational task, they must light Chanuka lights in the Shule. Yet, one could have 5000 people with no Halachically congregational requirement to light Chanuka lights because they aren’t a צבור halachically, because they are not involved in a Tzibbur mandated affair. Don’t get me wrong. I’m not arguing against lighting Chanuka candles in public places. I’m simply repeating the precise halachic categorisation of these acts, as per the words of the Rav and his father. There are other explanations, including the need to have Chanuka at home with food, and at Shule it’s only for those who don’t know how to perform at home. I’m not going there. 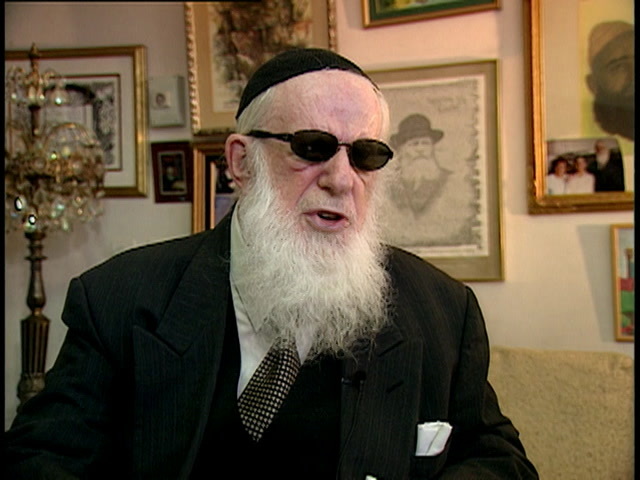 What did R’ Chaim Brisker really tell his grandson the Rav? In his youth, the Rav lived in Khaslavich, White Russia, where his father R’ Moshe was Rav. מהעורך, הרה”ח ר’ אהרון דב הלפרין שי’, שמעתי בזמנו סיפור מעניין שסיפר לו הרב חדקוב ע”ה, בשם בנו הגדול, ממלא מקומו, הגרי”ד סולוביצ’יק מבוסטון זצ”ל; סיפור אשר היו מעורבים בו גם הסבא ר’ חיים מבריסק, גם האבא ר’ משה, וגם הנכד עצמו, כמובן, מספר הסיפור. היה זה בחודש טבת תשכ”ז, כשנפטרה אמו של הגרי”ד סולוביצ’יק מבוסטון, והרבי זי”ע שלח משלחת נכבדה לנחמו, כשבראש המשלחת עמד המזכיר הנודע החסיד הרב חיים-מרדכי-אייזיק חדקוב ע”ה. המשלחת ישבה אצל הגרי”ד סולובייצ’יק שעה ארוכה, ותוך כדי הדברים הוא סיפר להם כדלהלן: “כשהייתי ילד, אבי כיהן כרבה של חאסלאוויטש שהיתה ברובה עיירה חב”דית. באחת השנים, המלמד בחדר היה יהודי נכבד חסיד חב”ד, תלמיד-חכם. המלמד, ‘גנב’ מפעם לפעם מהזמן שהיה עליו ללמד גמרא ולימד תניא וגם סיפר סיפורים חסידיים. איך שהוא הדבר נודע לאבי, והוא לא שבע רצון מכך. בהזדמנות, כשביקרנו בבריסק אצל הסבא [ר’ חיים], סיפר לו אבא את אשר אירע. הסבא גער בי ואמר שזה לא טוב מה שאני עושה וכי צריך ללמוד כל הזמן עם המלמד רק גמרא. אחר-כך רמז הסבא לאבי שהוא רוצה להישאר בחדר לבד רק איתי. In summary, some Hasidei Habad were sent to the Rav represent the Rebbe and perform the Mitzvah of Nichum Avelim, after the Rav’s mother passed away. The Hassidim were with the Rav for an hour. 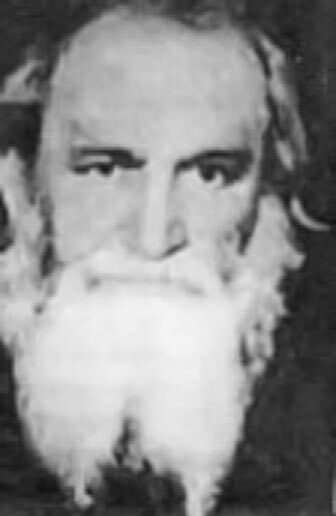 The head of the group was the Rebbe’s secretary, Rabbi Hodakov. 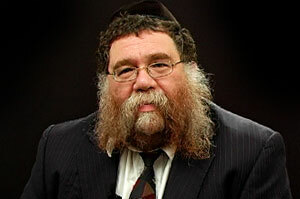 Rabbi Hodakov allegedly retold a version of the story that the Rav had allegedly said to Rabbi Hodakov at the Shiva. This version was relayed from Rabbi Hodakov by R’ Aaron Dov Halperin ‘שי. In this new version, R’ Chaim Brisker privately told the Rav that he should continue learning Tanya since he (the Rav) would need to draw from the Tanya later on his life. The Rav apparently used this story to illustrate that חכם (R’ Chaim Brisker) עדיף מנביא. I have to say that I was surprised to read this allegedly new version. I do not understand how or why this version, if true, didn’t come to light while both the Rav and the Rebbe were still בעלמא הדיין. If this version is true, surely Habad would have wanted this particular version to be known. Would the Rav have been embarrassed by it? I doubt it. 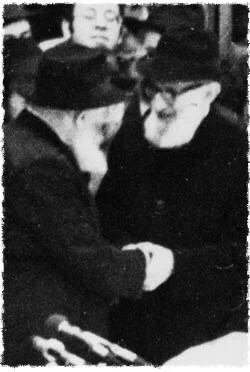 The Rav was seemingly never embarrassed by his past connection with Habad. Indeed, he gave a shiur in the Alter Rebbe’s לקוטי תורה in Boston for some time. One would have to also conclude that the Rav never told anyone in his own family about this version of the story or that he did tell them and they concealed it; most unlikely. This new version smells fishy to me. Can anyone shed some light? 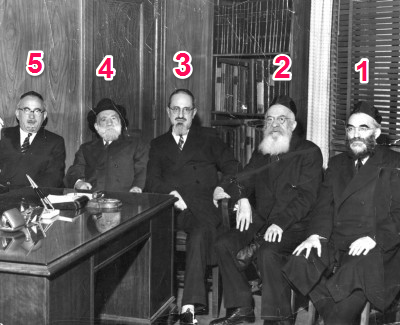 Author pitputimPosted on February 13, 2011 June 15, 2011 Categories Chabad, Groups, Rav Moshe SoloveitchikTags Chabad, Chaim of Brisk, Joseph Soloveitchik, Khaslavich, Moshe Soloveichik2 Comments on What did R’ Chaim Brisker really tell his grandson the Rav?